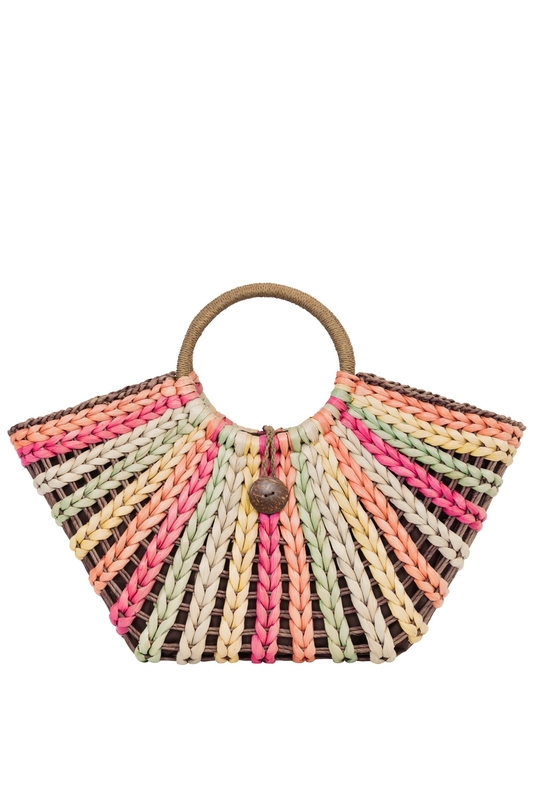 The vibrant colour and unique shape make this one special bag. Perfect for your beach or country getaway! Size approx: H9" x W15" x D4"